Continuing on my Halloween theme this week, let’s travel to one of my favorite cities in the U.S. – New Orleans! We loved this southern city so much on our first visit in 2007 that we decided to get married here in 2010. The city’s fantastic food culture and rich French architecture had us smitten! 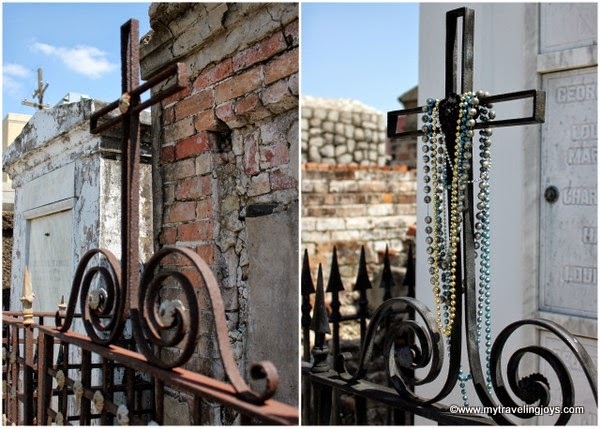 After the French Quarter and Bourbon Street, one of the popular sites to visit is the St. Louis Cemetery No. 1, which is the city’s oldest and most famous cemetery, opened in 1789. This cemetery became the city’s main burial ground after a major city fire in 1788. All the graves here are above-ground vaults, which makes them unique compared to most cemeteries. For me, coming from Nebraska, the vault-like tombs seemed strange. Some say the above-ground burial customs in New Orleans are because of the low water table, while the other theory is the vaults are based on French and Spanish traditions. The city was founded by the French and briefly served under Spanish rule as well. The St. Louis Cemetery, though devoid of very little plantlife, is interesting to walk through and admire the different types of architecture. I even took my parents during our weeklong wedding festivities in New Orleans. 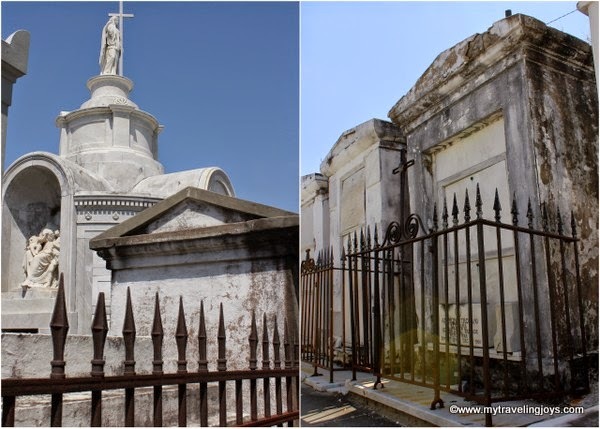 The cemetery also is home to several famous New Orleanians such as the renowned Voodoo priestess Marie Laveau, born in 1794 or 1801, is believed to be interred in the Glapion family crypt, which is pictured. 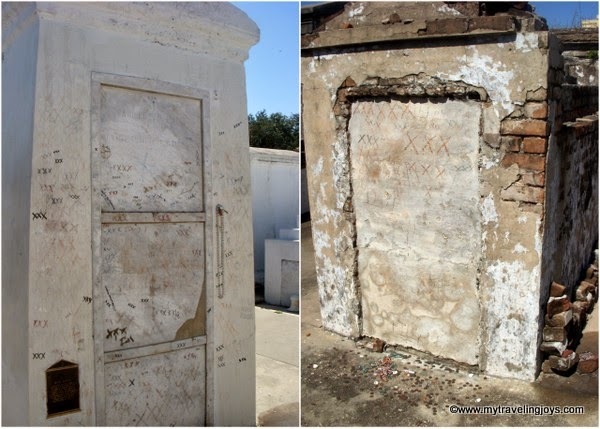 People mark three “x’s” on Laveau’s tombs and others in hope to get a wish granted. However, the “x’s” are actually vandalism, according to the Save Our Cemeteries Organization, which offers daily cemetery tours. Even American actor Nicholas Cage has purchased a vault here. This cemetery may be small, but is home to thousands, and is worth checking out when you visit New Orleans. 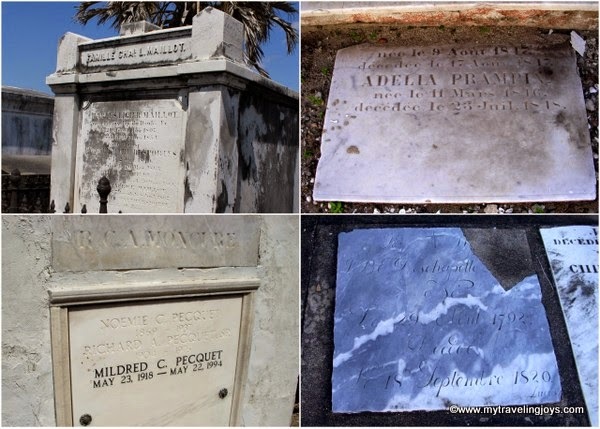 Tombstones date back to the early 1800s at the St. Louis Cemetery No. 1. 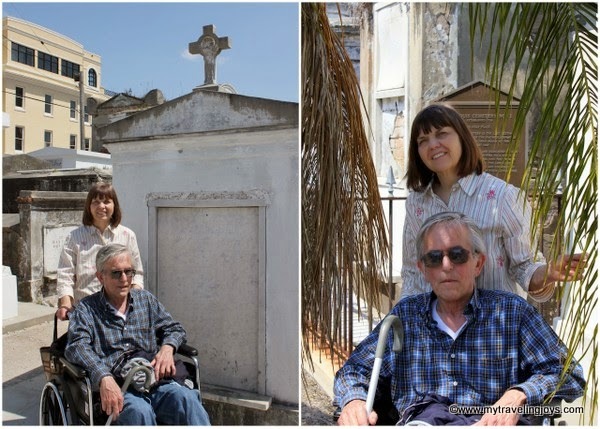 The Save Our Cemeteries Organization offers daily tours of St. Louis Cemetery No. 1 at 10 a.m., and an afternoon tour at 1 p.m. on Fridays and Saturdays. Tickets are $20 and must be purchased in advance online. Here’s a detailed map of the cemetery’s layout: http://www.saveourcemeteries.org/images/StL1_Map. i love new orleans and this cemetery is a must see when you are there!